Go see the Tiki Room. It's a must see. 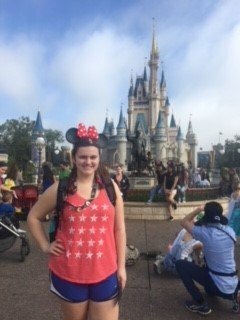 This year for spring break, I traveled to Disneyworld in Orlando, FL with a couple of my friends for the week. We spent six days in the parks, traveling to each park atleast once. For anyone who has never traveled to the "happiest place on Earth," here is a ranking of the Disneyworld parks from least fun to most fun. Epcot was the second park built at Disneyworld. It contains two sections, Future World and the World Showcase. Future World is where most of the rides in Epcot are, and unfortunately, they just aren't as exciting as some rides at other parks. Soarin' is fun, but not really a thrill ride. Test Track is more thrilling, but the thrilling part is short-lived. There are a few other smaller rides, but they're mostly rides you'll only care to ride once. And while the world showcase is interesting, there isn't much to do there except walk around and shop in shops. Only two of the countries have any sort of ride, so it is easy for kids (and teens) to get bored quickly in this park. Hollywood Studios is home to Disneyworld's only ride that goes upside down (Rockin' Roller Coaster) so that alone keeps this park out of the bottom slot. Tower of Terror is also a ride for thrill seekers. 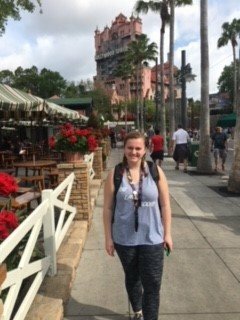 Besides these two rides, Hollywood Studios is mostly just shows that go with various movies, so it can be hard to find something to do as the day goes on. That being said, Hollywood Studios is currently in the process of building "Toy Story" World AND "Star Wars" World, and once these sections of the park are complete, Hollywood Studio will probably go up on the rankings. 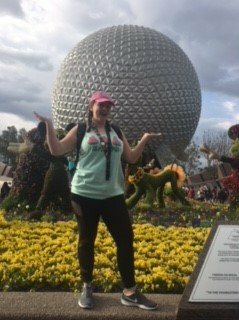 The Animal Kingdom is really a pretty great place, its a zoo and an amusement park combined into one complete with the magic of Disney. 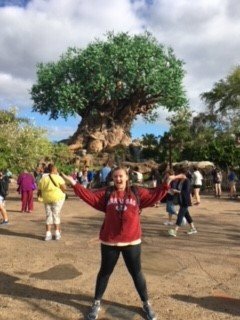 Expedition Everest is one of the best roller coasters at Disneyworld, Kilimanjaro Safari is an excellent way to experience the African Savannah in central Florida, and the new Pandora world of "Avatar" is incredibly beautiful and is well worth the hour-long waits. The Animal Kingdom is a park where its hard to get bored if you take advantage of all the park has to offer. The original Disneyworld park, Magic Kingdom is the icon of Disneyworld. Cinderella's castle is the main image that comes to mind when one thinks of Disneyworld. It is truly impossible to ride every ride and watch every show in just one day, so if you're going to visit, I highly recommend you set aside at least two days for this park. The three "mountains" (Space, Splash, and Thunder Mountain) are three of the most fun rides at Disneyworld and are fit for thrill seekers. There are also so many smaller rides for children to enjoy. It is impossible to run out of things to do, but if you do, go watch the "Tiki Room." It's a must-see. So there you have it - all four Walt Disney World parks ranked. Everyone has their favorites and least favorites, and you may not agree with me, but I truly believe these are how the parks should be ranked. Let me know what you think!